You know Xiaomi has products for all cases of life. So be ready to see any product with this brand. 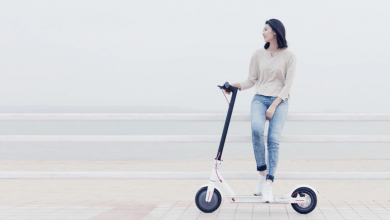 One of such products is the Xiaomi M365 folding electric scooter, which has managed to become popular around the globe and even to win a German IF Design Award. Thanks to a great design and innovative features this vehicle could win the hearts of many customers. As for now, it has got a huge price off and it is offered at $425.99. Surely this is the lowest price of this product at the moment. We are aware of many deals available at different retailers. None of them offers this product at the price we come in. But you should know this coupon is valid for 20 units only. So if you have been looking for such a vehicle, do not miss your chance. There are two color options for the Xiaomi M365 folding electric scooter – black and white. But this coupon works only for the black one. It comes with a minimalist design. Its height is 114cm, which is quite appropriable for most people. The handlebar is at 43cm, which is a regular shoulder width of an adult. 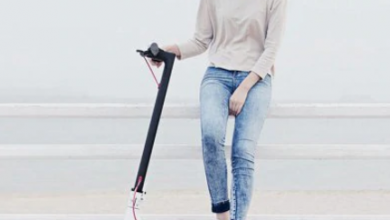 Once the Xiaomi M365 electric scooter is folded down, its height is 49cm. The grip is made of rubber and provides a non-slip performance. The bells are located next to the grip. The main material used in this product is an aircraft grade aluminum alloy. That’s why it’s a bit heavier than other models, 12kg. The pad is made of an anti-skid and non-slip material. The charging connector is placed under it and protected with a waterproof rubber. The 18.650mAh lithium-ion battery pack offering the instantaneous maximum power of 250W is placed under the pad occupying the entire perimeter. It works on BMS battery management system. So you will be always informed about the remaining power via the app. The latter also provides info on the current status of the vehicle. Say, you can see the current speed, the last distance you passed and the average speed. This is a great option to monitor/control the ride when performed by your children. One of the selling points of the Xiaomi M365 folding electric scooter is the improved braking effect due to an adopted ventilated disk brake system as well as E-ABS technology that realize quick response and provides efficient breaking of 4m. 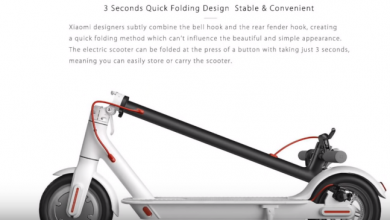 When starting the ride the Xiaomi M365 folding electric scooter needs an initial speed. When it is absence, the throttle is not activated. As you guess, it’s made to prevent kids from undesirable rides. It also converts kinetic energy into electric energy in order to offer a better battery life. Thus, recyclable energy can be used to increase the cruising distance. The Xiaomi M365 folding electric scooter is a quick-foldable vehicle that requires only 3 seconds to make this action. 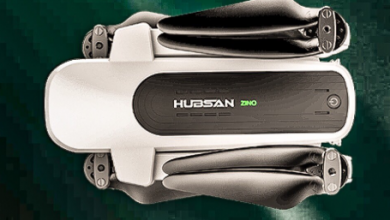 It provides up to 25km/h of maximum speed as well as up to 20km of maximum distance to pass on a single charge. You misguide the people. It is for youth edition, with lower battery capacity, max 20 km.